Villa Olivo is a beuatiful villa inside a big estate is one of the perfect vacation homes for discerning guests who look out for a great Italy vacation. The villa inside the 100hc Pandolfini estate offers all that a guests dreams of. The estate has a private forest, olive grooves, wineyards etc to make the stay even more memorable. There are private trails for walking and also the villa is family friendly as there are few other villas in the same estate. Children will find playmates to make their vacation a great fun. There is a cooking school inside the estate for those guests who love learning the typical Italian cooking. Chefs are also available to come and cook for you specially upon request. Multi-lingual tour guides are also available for the various customized tour programs organised by the managers of the villa. Beautifully restored this farmhouse offers a peaceful and private vacation for the person who wishes to experience Tuscan living and explore the region and the wonders of Florence. The farmhouse is fully equipped with dishwasher, oven, fridge/freezer, satellite tv and washroom with ironing facilities and washing machine. There is also the laundry for the guests. 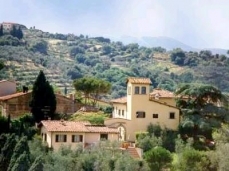 The estate is set on the foothills of the Bertini Hills, the property produces extra virgin olive oil and red wine that the guests may taste and purchase. There is a swimming pool at the guests disposal which is shared . Public transport, bars and all shops are within walking distance.2 mins from the town and 15 mins from the center of Florence. The farmhouse has a lovely outdoor area with table and chairs for relaxing, sunbathing and reading. On entering the villa one finds a spacious living / dining room and a kitchen that is fully equipped. 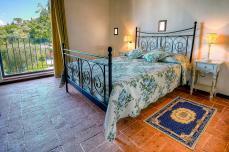 The villa has one double room and one twin room and 2 bathrooms with shower. There is Wi-Fi connection and the access is available from certain hotspots on the property. We cannot guarantee wireless access inside the villa as the walls are made of thick stone and sometimes you may need to move around to get access. Close to all major highways. 40mins to Montecatini; 45 mins to Pisa & Lucca. 40mins to Siena/Volterra/San Gimignano/Arezzo. Staying at Villa Olivo offeres a perfect vacation for the traveler who wishes to enjoy the country, explore Tuscany and marvel in the many wonders of the breathtaking city of Florence. The owners are proud Tuscans who wish to offer their guests an insight to real Tuscan living and surroundings. Wonderful dining experiences at the many local restaurants. Relax at the farmhouse, sip a glass of our wine and enjoy the magnificent countryside which has made this region so famous and loved. Take walks along the country roads or discover the many local attractions such as horse riding, trekking, antique markets, local villages and historic sites and churches. John Jun 20, 2013 18:06 The holiday was great and the farm house was excellent. The people working at the farm house offices, we spoke too were very friendly and helpful so 10 out of 10 for service. You have a wonderful farm house! Many thanks for a most enjoyable holiday and a first class experience of country life. Dr Leyla Sanai Jun 20, 2013 18:06 Last year, in Septmeber, my boyfriend and I rented out Villa Cyprus 3 on the Villa Pandolfini estate in Lastra a Signa for two weeks. We had a lovely time, and the owners, liked us very much and gave us many gifts of fruit and wine. I wonder if you have a vacancy for the villa or another villa on the same estate for 2 weeks sometime this summer? Marilyn Noon Jun 20, 2013 18:06 We certainly enjoyed our vacation in Villa Cyprus 3. It was a perfect location for the things we wanted to do. 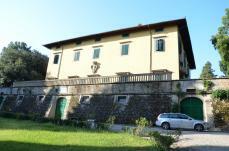 The house was perfect for us--close to the sights of Florence and yet in the country. All of you were so kind and helpful whenever we had any questions. Ammon is a dear and was a special part of our vacation experience. We think fondly of him often. We hope all of you doing well. Maybe we`ll be able to come again in the not too distant future. Thanks again for everything you did to make our stay enjoyable. Frank Grandelis Jun 20, 2013 18:06 I like your idea of `advice for 1st time travelers to Italy`. It sounds like a winner. even though we have been to Italy several times, there is always more to learn. Our stay in Signe was terrific!! The setting was perfect for our group--4 adults and 3 children. The younger boys had plenty of space to run and explore, and the location was perfect for trips to Pisa, Lucca and the countryside. Sharmila was a great host--as was Mario. We werte particularly impressed with E`s knowledge of the area, and commitment to 6 hour response to inquiries for accomodations, etc. Keep up the good work, and we have already recommended your services to other. Bashaar El Fasid Jun 20, 2013 18:06 I meant to send this email earlier. I wanted to thank you all again for the fantastic week in Firenze that we had and to which you had a significant contribution. The villa beat all of our expectations and the same goes for the hospitality that you have received us with. I can tell you that I will recommend all my friends and family to contact you if they decide to have a vacation near Firenze. Judy Hoyt Jun 20, 2013 18:06 We had a great two weeks! My son and his family stayed in Villa Cyprus 3, and were very comfortable with their air conditioning and we were in Villa Cyprus 2. The cooking class was probably the highlight for me...great cooks and fabulous food!. Blessings and many thanks to all. Hoyt and Ericsson Jun 20, 2013 18:06 Our family of four had a great time at Villa Cyprus 3. It is close to the train so it`s easy to get around, and drivers for hire were available for tours. The cooking classes and the pool were the highlights! The air conditioning was essential for a good night`s sleep in the summer...a nice cool house was great! The house was clean, well-equipped, and the laundry room was convenient. Thanks so much for a great time! Gary Kugler Jun 20, 2013 18:06 Thanks for all you did to help us with our rental arrangements. We were very glad we stayed at Villa Cyprus 3 and Limonaia. Of course, having Meagan and Elizabeth and on-site was a tremendous help as they gave advice and made arrangements for us at restaurants and museums. The accommodations were outstanding--esp. very clean, spacious and nicely furnished. The estate was beautiful, very relaxing and extremely convenient to the train station, the highways, stores, etc. By the way, manager was a joy to meet and talk with. She was so sweet to give us a present of fresh-picked grapes. The Calabrese`s Jun 20, 2013 18:06 Our stay in Tuscany was great. Villa Tosca was an excellent residence. We had plenty of room for all seven of us and the the beds were very comfortable. The location is also excellent;we took the train into Florence and Pisa ,Lucca and Sienna were easy drives by auto.The manager was very gracious and she arranged to get us a swell New Years Eve party at a local restaurant.We will recommend your organization to anyone going to Tuscany. Thank you for all your help. Gary & Lynette Blake Jun 20, 2013 18:06 Yes, we really have settled back in here at the ranch in Oregon, and it`s been busy. This week we had a writer/photographer from Cowboys & Indians magazine at the ranch taking pictures of us riding and working our cattle. It`s scheduled to appear in the magazines spring issue. Turns out he was in Tuscany in spring taking pictures of the Maremma cattle and cowboys for the magazine. We had a wonderful experience at the Villa Cyprus 3 and all have fond memories of strolling up the cypress lined lane and horses to the villa. We enjoyed walking to the village for a macchiato or espresso and the ease of getting in to Florence, Pisa and Siena for sightseeing. But best of all was the warm, friendly people both other guests and staff at the estate. It made us feel like we were at home. Advice: buy Euros in the U.S or exchange Euro traveler`s checks at the American Express office. Don`t use the money exchange booths unless you like giving lots of money away. Be sure to spend a couple of hours shopping at the Ipercoop what an experience! And a van trip with Ricardo through the countryside is well worth it. Thank you all for a memorable experience, and we hope to see you again soon. Judy Farneti Jun 20, 2013 18:06 My family so loved our travels in Tuscany. Villa Cyprus 3 I was a delicious introduction to our Italy vacation. The accommodations were wonderful - especially loved the pool at the end of a VERY hot day traveling throughout Tuscany. At this time we are looking into a week in the city of Florence this Spring, and if you have any suggestions, I would greatly appreciate it. Thanks for all you did to help make this such a memorable vacation for us. We will forever cherish the time spent at the farmhouse (the wine was superb, as well!!). The proximity to the train station made travel through the area so easy. Thanks again for everything. The Brownes Jun 20, 2013 18:06 We all had a lovely time in the villa. It was perfectly equiped and the signora who greeted us was extremely helpful with sorting out any questions we had. Many thanks for letting us stay.